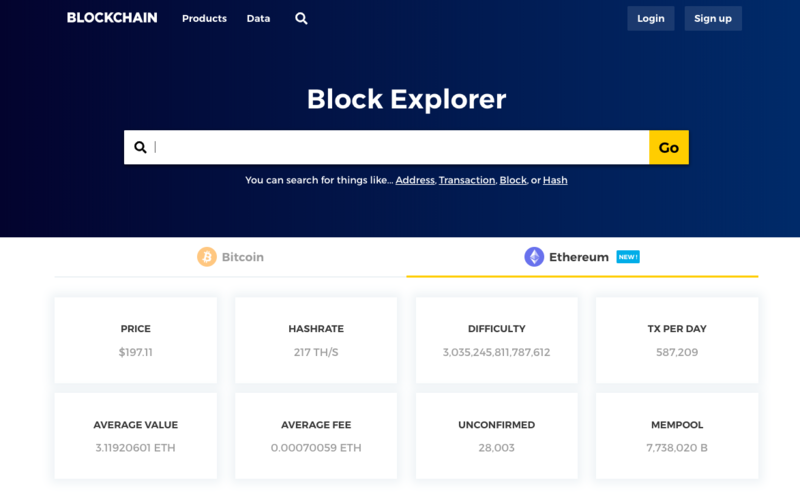 Blockchain.com today announced the addition of an Ethereum block explorer, which puts ETH data right at users fingertips. The company also announced it is giving their explorer a fresh new look and streamlining the way users interact with the data. Whether a wallet user wants to find more information about addresses and transactions, a researcher looking for data on the health of the networks, or a crypto enthusiast who wants to make informed trading and transaction decisions… It is now possible to view top network statistics, watch real-time incoming transactions, search for blocks, addresses, or transactions, and more all from one place.